Every gardener has a garden tool, or two, she can’t live without. Mine is my CobraHead and Felco Pruners. 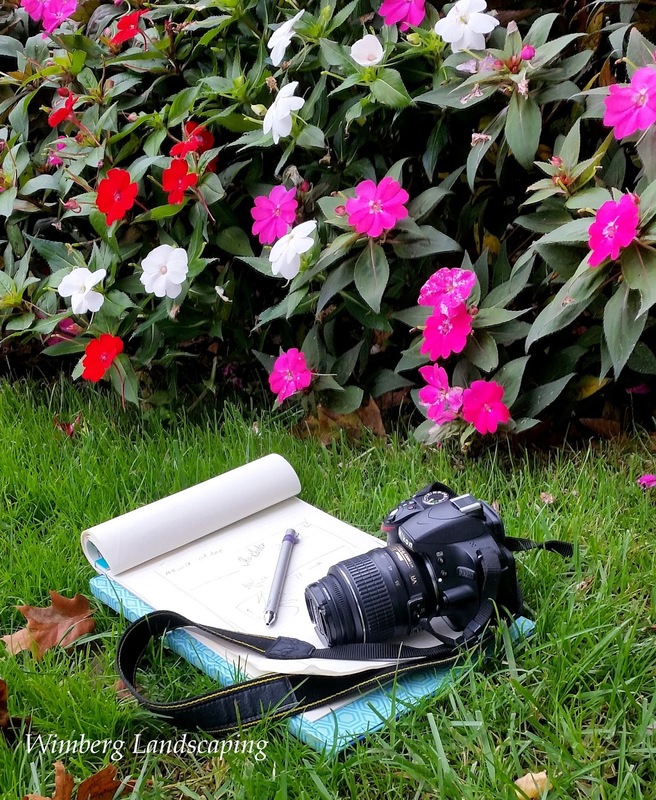 But this time of the year, as the gardens usher in their autumn colors and things start to slip into hibernation, I turn to my two must-have garden design tools: my camera and notebook. I have faced enough spring days in the garden to know that I will not remember all I have planted, transplanted and grown in the gardens for years. I will forget the name of some plants, especially the variety, and I can promise you those plant tags will magically disappear over the winter. Now that I am an older and wiser gardener, I bring my camera with me to the gardens just about every visit. With the advent of cell phone photography, there really is no reason why you shouldn’t be photographing your garden. It makes a record of your plants and their location. This is quite helpful when you want to start digging. And, on those winter days when we can’t tend to our gardens, we can study photos to decide what we can add, move and possibly edit. Photos do a remarkable job of revealing what we can't see in person. In photos I notice where more plants should be added, where the greens are too similar and new textures and colors need to be interjected and where I need more height variations. I can see if plants are lost in the deep shade or if a color has taken over a garden. Sometimes it’s a good idea to simply sit in the garden and think. I know it’s hard not to pull that weed or snip off a spent flower, but you need to be still to experience your garden. This is when I get the best ideas for new designs, additional gardens, new plants, sometimes even an art installation. But you have to give yourself time to let the ideas come and a notebook to record them in. Record your ideas as well as your questions. When you meet with your landscape professional, you will want those questions handy to get the most out of your time together.